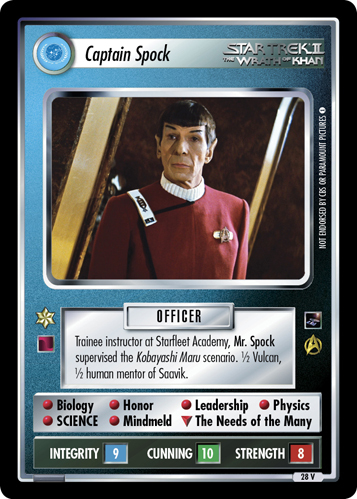 Highly logical starship Enterprise first officer. 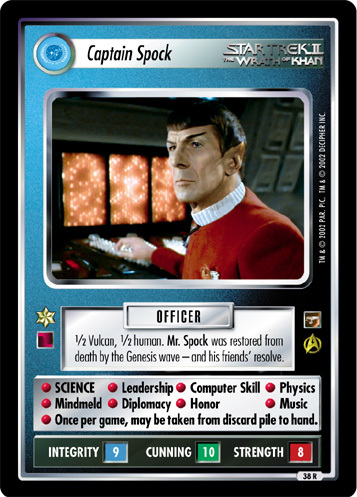 First Vulcan in Starfleet. Suppresses his human half. Fascinating. 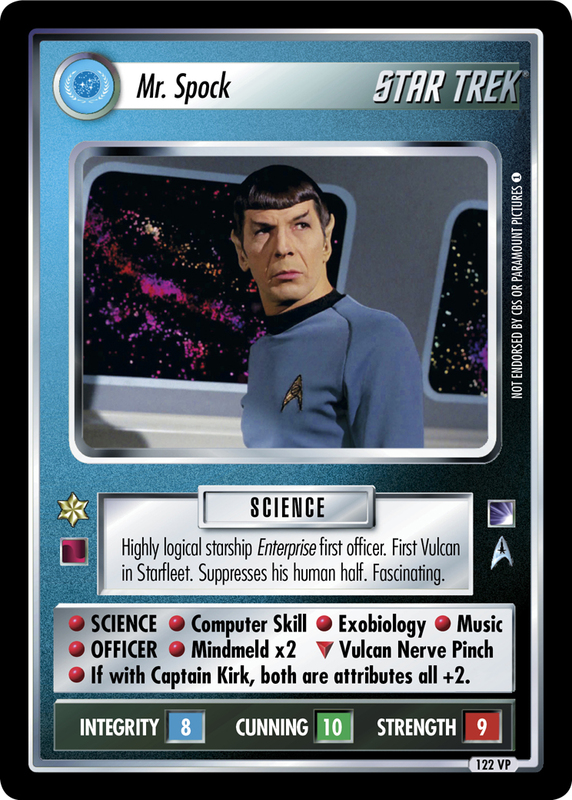 • SCIENCE • Computer Skill • Exobiology • Music • OFFICER • Mindmeld x2 ∇ Vulcan Nerve Pinch • If with Captain Kirk, both are attributes all +2. Image Source: The Original Series: "The Trouble With Tribbles"